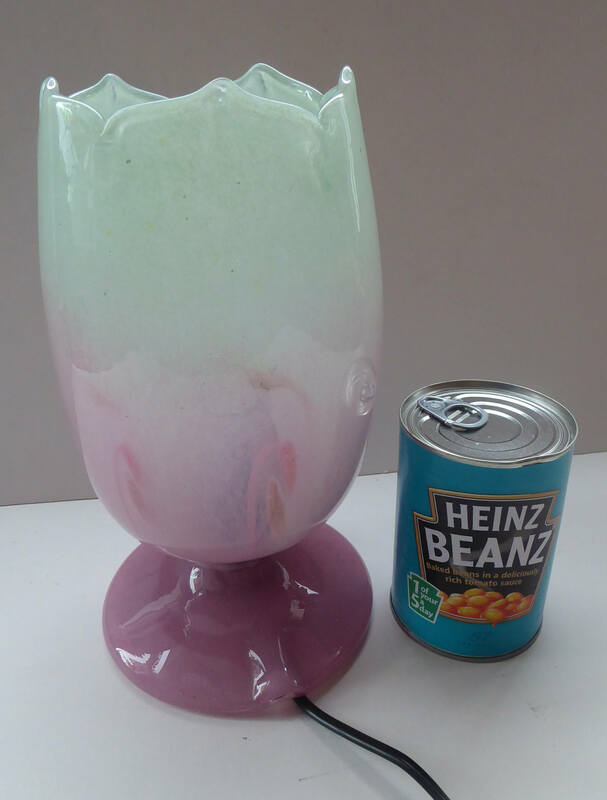 This is an attractive piece of vintage Scottish glassware. 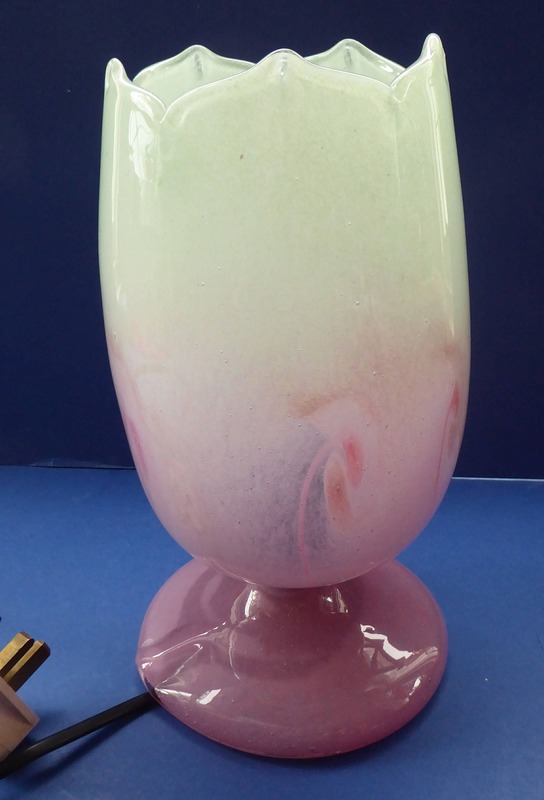 This is a fine hand-made glass tulip table lamp - which was made between 1946 and 1963 at Vasart. 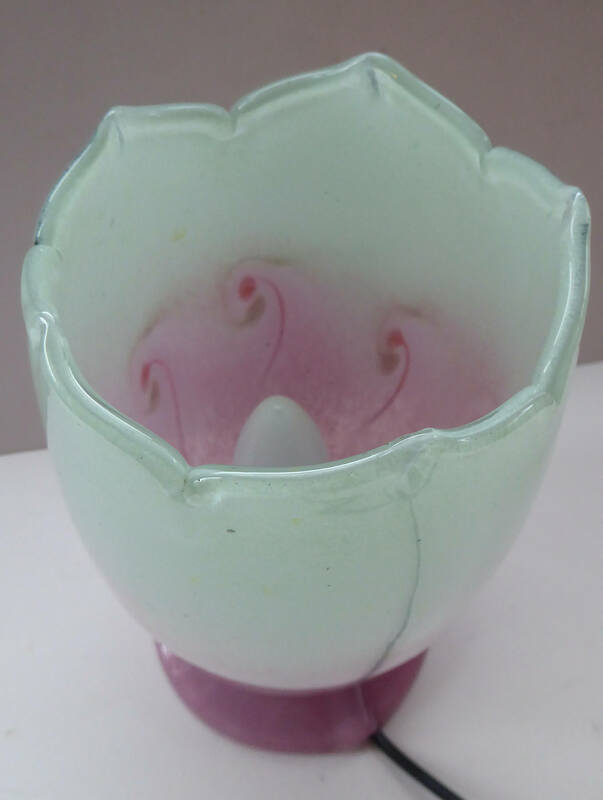 The lamp is made from one piece of blown glass and gets its name as it is shaped like the flower on a tulip. 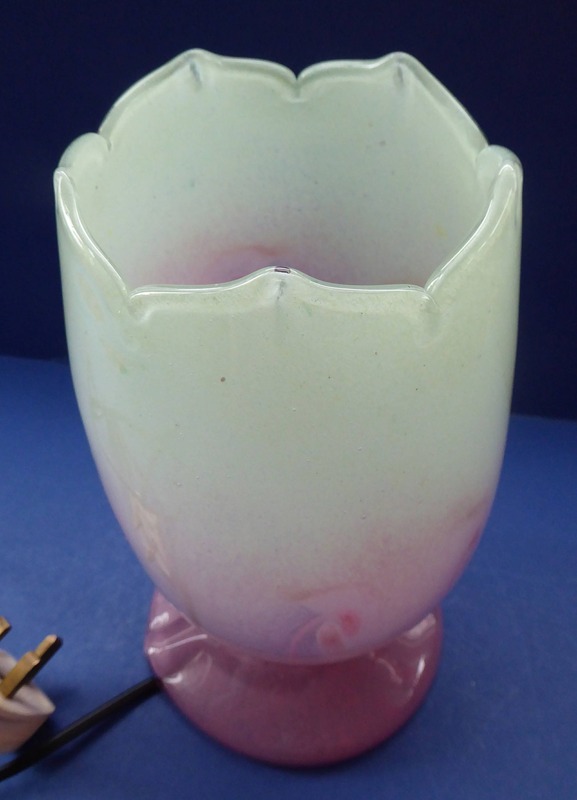 The colours are very subtle with light pastel shades - the crown section with its peaks is a pale peppermint green shade which blends into the light sugar pink coloured glass below. 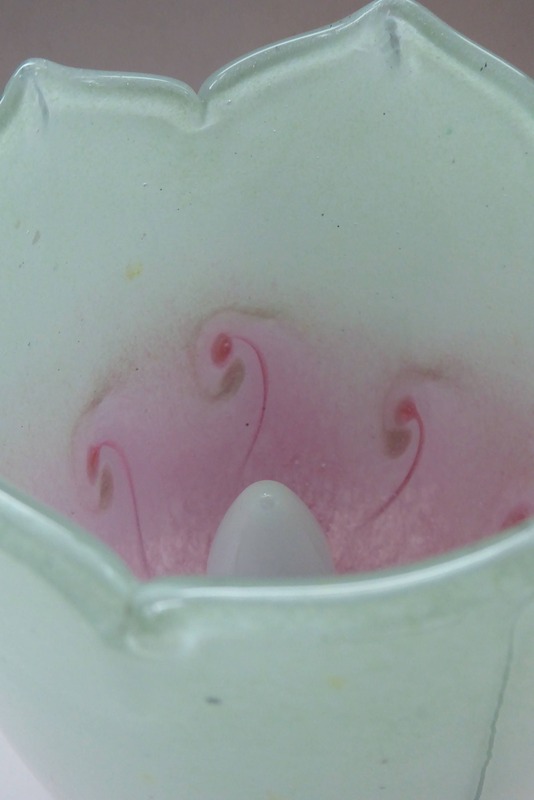 There are a few subtle swirls to the glass, as you can see in my photographs. 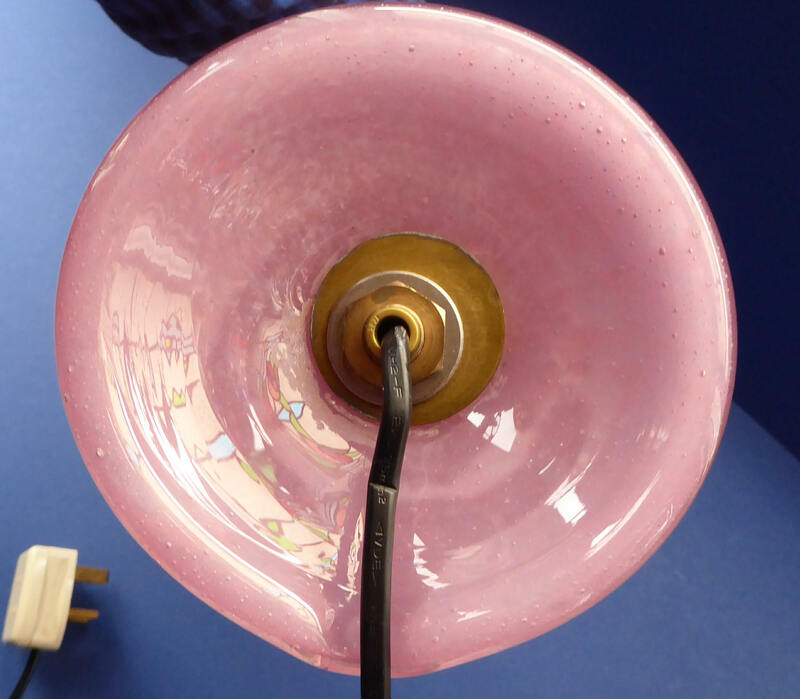 The lamp has a circular pedestal base - with a little blown lifted bridge on the foot to allow the cable to run neatly underneath and to the bulb holder and bulb inside. 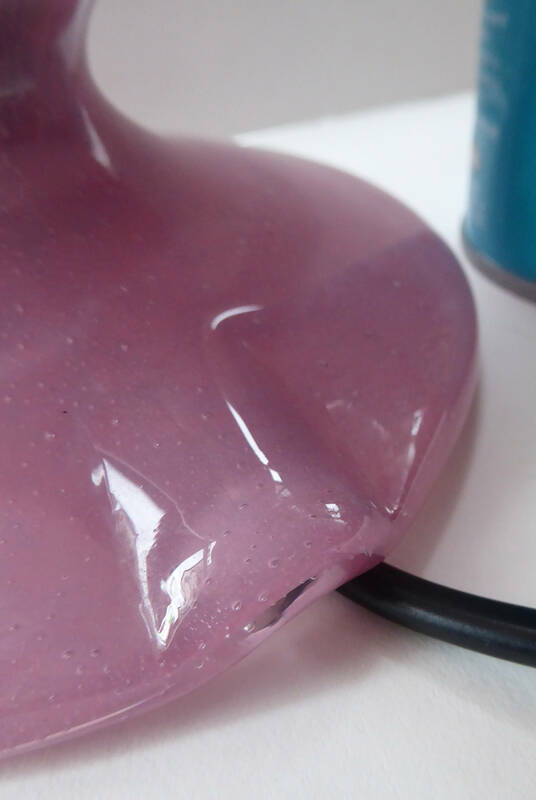 This bridge was created in the making process and it is not ground out channel underneath as you might find on later 1980s versions of these tulip lamps. 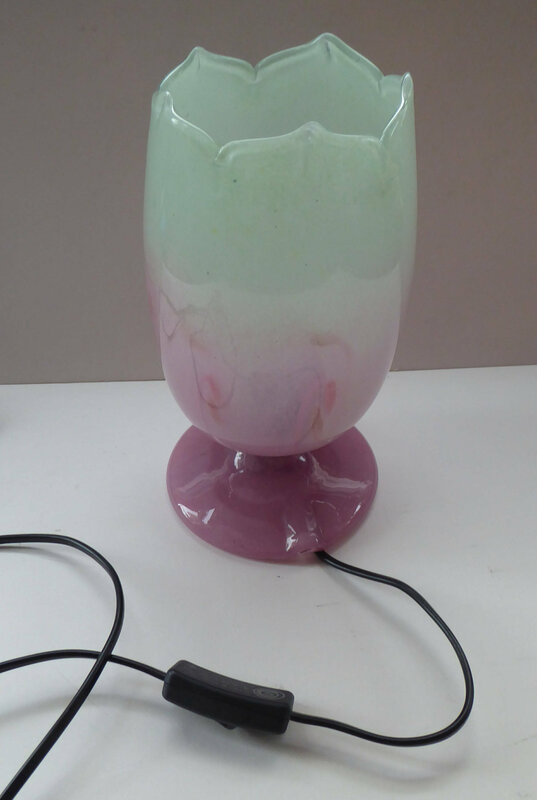 This lamp is wired and with a finger switch to allow you to switch on and off easily. It is certainly pretty when all lit up, as photographed. 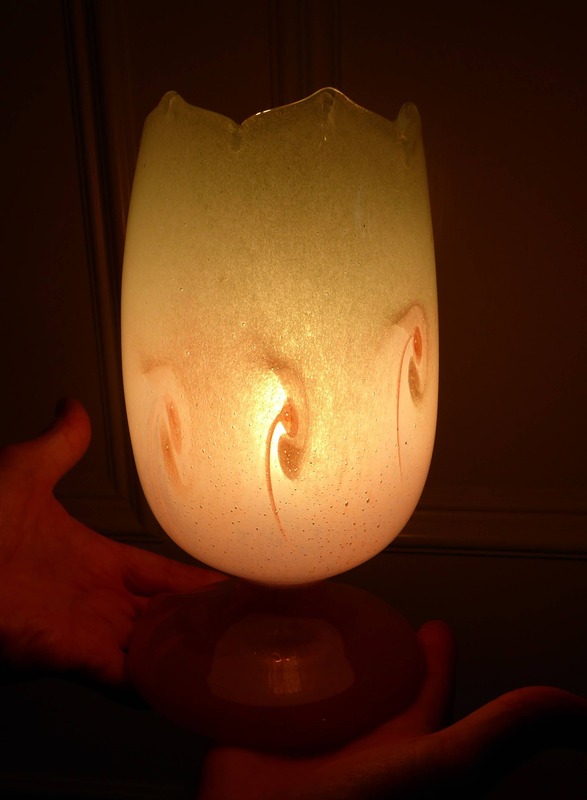 A nice accent piece to cast a subtle warm glow in a sitting room, dark corner or even a hallway. 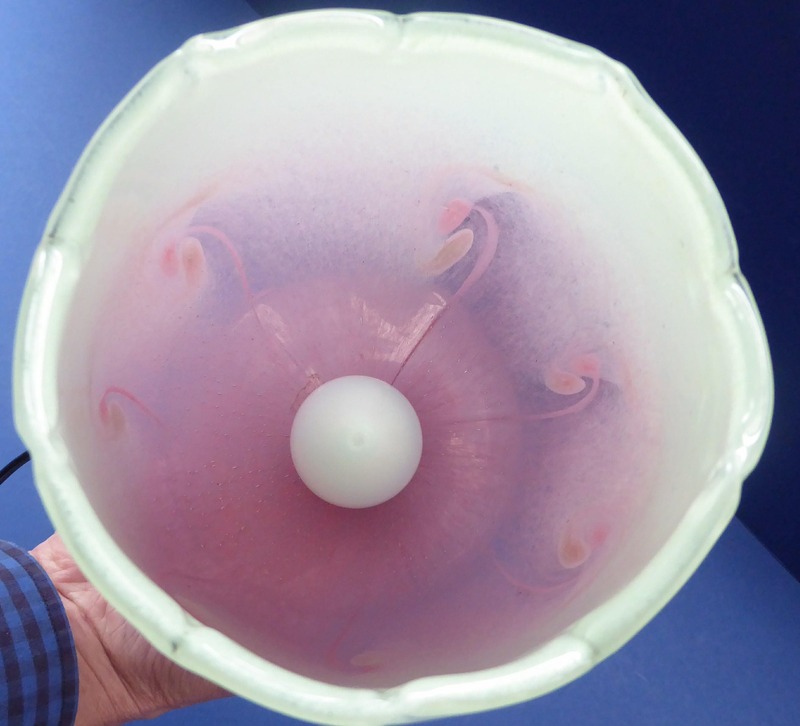 The lamp is 9 3/4 inches in height - and has a diameter of 6 1/4 inches. Unpacked it weights 1.4 kg. Of course, it is in good original vintage condition - with no damages or restorations. Probably for posting in the UK only.